The inaugural class of the Strathmore Football Hall of Farm takes a break during the Happy Hour of the induction ceremony. 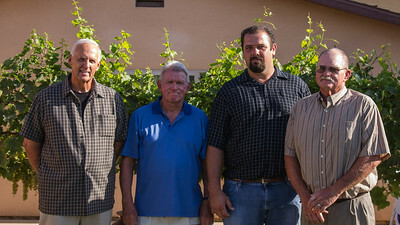 They are (l to r): Dave McDaniel, Jerry Crawford, Matt Gartung, and Joe McCowan. 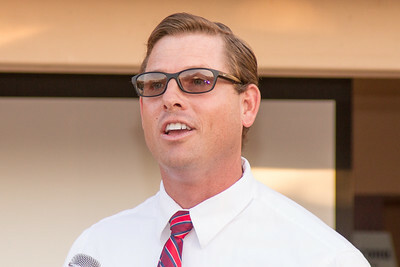 Current Strathmore High Spartan football coach Jeromy Blackwell speaks to the guests at the first induction ceremony of the Strathmore Football Hall of Fame. 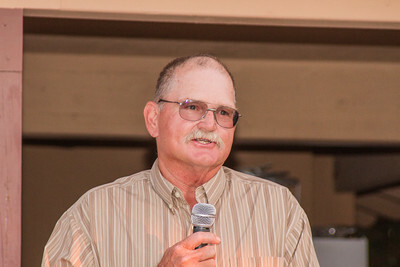 Strathmore Football Hall of Fame inductee Joe McCowan addresses the guests at the inaugural induction ceremony held Saturday, August 8th at Joe Lopez Ranch in Strathmore. 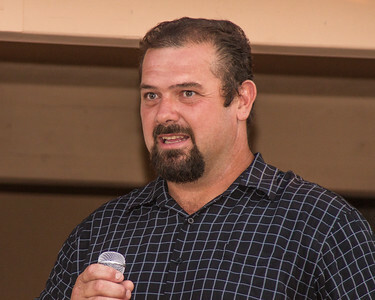 Matt Gartung, a standout football player for the Strathmore Spartan in the early 1990s addresses the guests at the first induction ceremony for the Strathmore Football Hall of Fame. 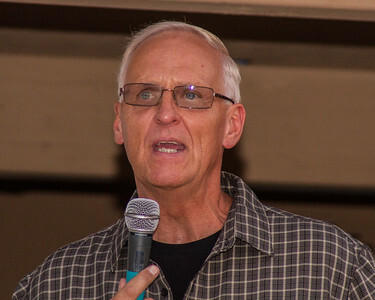 Dave McDaniel, who presided over 5 league championship and 2 valley titles as head football coach of the Strathmore High School Spartans, addresses the gathering during his induction into the inaugural class of the Strathmore Football Hall of Fame. 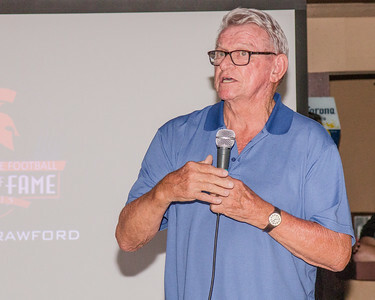 A major supporter of Strathmore High School for over half a century, Jerry Crawford was inducted into the first class of the Strathmore Football Hall of Fame during a ceremony on August 8, 2015. 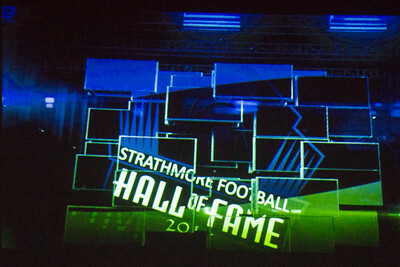 Powerpoint graphic during the inaugural ceremony of the Strathmore Football Hall of Fame dinner held on Saturday, August 8 at Joe Lopez Ranch in Strathmore. Current Strathmore High football coach Jeromy Blackwell is flanked by the inaugural class of the Strathmore Football Hall of Fame. 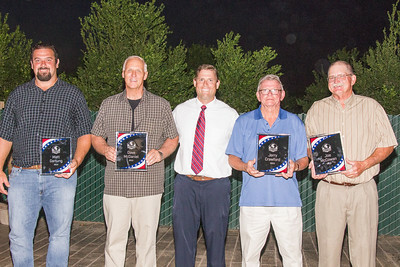 Left to right they are: Matt Gartung, Dave McDaniel, Jerry Crawford, and Joe McCowan. 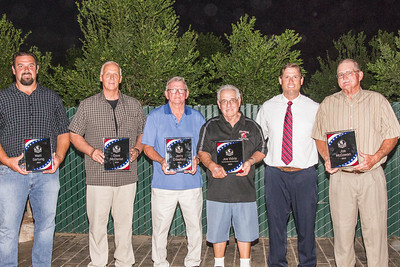 Honorees at the inaugural Strathmore Football Hall of Fame Dinner included (l to r) Matt Gartung, Dave McDaniel, Jerry Crawford, Community Service Award Winner Joe Vidrio, Strathmore football coach Jeromy Blackwell, and Joe McCowan. 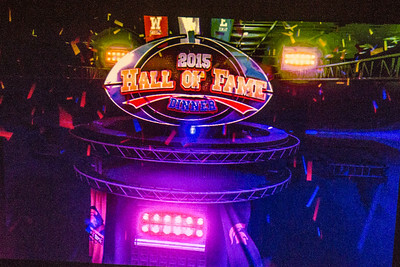 The Community Service Award will be named the "Joe Vidrio Community Service Award" from now on.